Ní mór é a áireamh sa líne sin de scríbhneoirí ó aimsir Phádraig Mhic Phiarais i leith a rinne saothar den scoth i mBéarla agus i nGaeilge. D’ullmhaigh Proinsias Ní Dhorchaí a dhéantús fileata, trí dhán déag, agus an dráma An Giall, le haghaidh an leabhair Poems and a play in Irish, 1981. Bhí an chuid is mó de na dánta sin i gcló ar dtús in Comhar 1947-52. San iris chéanna i 1951-56 scríobh sé aistí, ar bhain cuid díobh lena laethanta san IRA. Roghnaigh Seán Ó Tuama péire dán leis in Nuabhéarsaíocht, 1950 nuair ba bheag má bhí aon aithne air; ba é an duine ab óige d’fhilí an duanaire sin é. Bhí an méid seo le rá ag Máirtín Ó Cadhain le Sáirséal agus Dill sular foilsíodh é: ‘An fear seo [Breandán Ó Beacháin] agus Seán Ó Ríordáin an dá fhíorfhile sa nGaeilge’ (nóta ag Tomás Bairéad in As an nGéibheann, 1973). Cé gur tháinig forbairt mhór ar an bhfilíocht nua-aoiseach idir dhá linn sholáthair Declan Kiberd agus Gabriel Fitzmaurice spás le haghaidh leathdhosaen dá dhánta in An Crann faoi bhláth: contemporary Irish poetry with verse translations, 1991. Ní foláir nó tá nithe fánacha gan bailiú go fóill, mar shampla, an t-amhrán Gaeilge a bhí aige in Irish Times 30 Meitheamh 1956 nuair a tugadh ceadúnas óil do Mhuiris [Kruger] Caomhánach agus an dráma aonmhíre Lá breá san Reilig agus na haistí úd in Comhar. 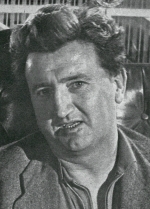 Scríobh Ulick O’Connor Brendan Behan, 1970, beathaisnéis bháúil. Tá fianaise tugtha ag scata mór daoine ar a dtaithí air in The World of Brendan Behan, 1965 in eagar ag Seán McCann; ina measc tá Donal Foley, Seán Sáirséal Ó hÉigeartaigh, Earnán de Blaghd, Riobard Mac Góráin, Seán Caomhánach, Niall Tóibín. In Féile Zozimus, Imleabhar 2, 1982 tá cuimhní Sheáin Mhic Réamoinn, Mhichíl Uí Aodha, Riobaird Mhic Ghóráin agus Shéamuis de Búrca. Chuir B.H. Mikhail eagar ar The Letters of Brendan Behan, 1992. Ag 14 Sráid an Ruiséalaigh, An Cuarbhóthar Thuaidh, Baile Átha Cliath, a bhí cónaí ar a thuismitheoirí, Stephen Behan agus Kathleen Kearney, nuair a rugadh é ar 9 Feabhra 1923. Deir Séamus de Búrca in Brendan Behan a memoir, 1985 gur faoin ainm Francis a cláraíodh an bhreith. Péintéir tí ba ea Stephen Behan agus ó 1948 go 1967 bhí sé ina uachtarán ar Cheardchumann Náisiúnta Gaelach na bPéintéirí agus na Maisitheoirí. Bhí Kathleen pósta ar dtús ar Jack Furlong ó Bhéal Feirste (d’éag 1917) agus bhí beirt mhac aici ón bpósadh sin, Ruairí agus Seán. Ba é Breandán an duine ba shine den dara clann agus ina dhiaidh tháinig cúigear eile, Dominic, Brian, Séamus, Carmel agus mac a cailleadh go hóg. Deartháir le Kathleen ba ea Peadar Ó Cearnaigh (1883-1942) a scríobh ‘The Soldier’s Song’. Deirtear gur chaith Stephen Behan tamall ag dul le sagartacht agus go raibh léamh na Laidine agus na Fraincise aige. Is deimhin go raibh méid áirithe Gaeilge aige. Léadh sé os ard dá leanaí as Dickens, Shaw, Zola, Pepys, Maupassant agus údair eile. Sheinneadh sé ar an veidhlín. Ó thaobh eolais agus pearsantachta de ba dhuine neamhghnách freisin í Kathleen. Bhí slumthithe sa chomharsanacht ach deir an Búrcach: ‘The poverty of the Behans has been exaggerated and overwritten’. Bhí seanmháthair ag Breandán dar sloinne English, máthair Stephen (phós sí faoi dhó), a raibh drochthionchar aici air. Ba í ba mhó faoi deara go santaíodh sé ar feadh a shaoil go mba chuid súl cách é agus ba í a dhúisigh dúil san alcól ann. Bhí leas-seanmháthair aige, Bean Furlong, a bhí ina sárnáisiúnaí, agus chuir sin leis an mothú láidir a adhnadh ann cois teallaigh. Bhí sé ar scoil ar dtús i gClochar na Trócaire, Sráid Liam, agus ansin ag na Bráithre Críostaí i Sráid Brunswick. In The Letters of Brendan Behan, 1992 tá litir dar dáta 6 Samhain 1937 a foilsíodh in Irish Democrat ag tagairt do na Bráithre: ‘One of them taught me the bit of Irish I know’. Chuaigh sé isteach sna Fianna nuair a bhí sé ocht mbliana d’aois agus faoin am a bhí sé in aois 12 bhíodh sé ag scríobh in iris na bhFianna, in Wolfe Tone Weekly agus The United Irishman. D’fhág sé scoil dhá bhliain ina dhiaidh sin agus rinne cuid dá phrintíseacht mar phéintéir tí. D’aistrigh an teaghlach go Bóthar Chill Dara. I 1939 timpeall an ama a thosaigh an feachtas buamála i Sasana glacadh leis in Arm na Poblachta. Tar éis tamaill oiliúna i gCill Iníon Léinín cuireadh go Learpholl é. Gearradh trí bliana géibhinn air nuair a fritheadh ábhar pléascach ina sheilbh. Is cosúil nár ordaigh an IRA dó an t-ábhar a iompar ach gur i mbun gnó taiscéalaíochta a chuir siad anonn é. Sa scoil cheartúcháin nó Borstal ag Hollesley Bay, Suffolk, a chaith sé an chuid is mó den dá bhliain 1940-41. Glactar leis gur de bharr an chleachtaidh ansiúd a bheadh sé déghnéasach feasta. Ar ais i mBaile Átha Cliath scaoil sé urchar le ball den Gharda Síochána agus ar 25 Aibreán 1942 gearradh ceithre bliana déag air. Anuas go Meitheamh 1943 is i bPríosún Mountjoy a bhí sé. Chaith an Gobharnóir, Seán Caomhánach, go cineálta leis agus d’fhéach chuige go léifeadh Seán Ó Faoláin cuid dá scríbhinní agus go gcuirfeadh sé agallamh air. Deir sé (The World of Brendan Behan, 1965): ‘When I first knew him Brendan had a good grasp of Irish from his schooldays. He must have worked hard at it in the different prisons for on his release he could write and speak it as fluently as English. Irish classes were carried on in “D” Wing but Brendan was not one for classroom discipline. . . . However he improved his knowledge of it in various ways, and he must have benefited considerably from the help he got from a fellow prisoner, Seán Ó Briain, a teacher and a native speaker from Ballyferriter’. Scríobh an Seán Ó Briain sin alt dar teideal ‘I knew Brendan Behan’ in Kerryman 23 Bealtaine 1964: ‘A number of good short stories and at least one play were written and lost and carelessly cast aside and never bothered about again. I remember the numerous stories and a play he wrote while we were in Mountjoy, in Arbour Hill and in the Curragh between 1942 and 1946. . . . Often when I had nothing to read I went to his cell and collected a bundle of leaves from all over the place, took them with me and sorted them. They were good stories—all about his younger days and he wrote a good many of them’. Foilsíodh cuntas a scríobh sé ar a thréimhse sa Bhorstal in The Bell, Meitheamh 1942. Seachas trí mhí i gCnoc an Arbhair chaith sé an chuid eile den phionós i gcampa géibhinn an Churraigh, áit a raibh deis aige cur go mór lena eolas ar an teanga. Gan amhras léigh sé cuid mhaith i bpríosún, scríobh dréachtaí de dhrámaí, agus chuir go mór lena thaithí saoil. Scaoileadh saor é gairid i ndiaidh Nollaig 1946. Fuair sé obair mar shaoiste nuair a bhí teach Dhónaill Uí Chonaill i nDoire Fhionáin á atógáil. Mar phéintéir tí is mó a d’fhaigheadh sé fostaíocht anuas go 1950. Thug sé cuairt ar an mBlascaod i 1947 ach an bhliain chéanna sin gearradh ceithre mhí air i bpríosún Strangeways i Sasana tar éis gur rugadh air agus pas bréige aige. Ann a scríobh sé an dán ‘Aithrí’. I rith 1947 bhí sé ag tabhú clú i mBaile Átha Cliath mar fhear inste scéalta agus mar amhránaí, agus mar fhear fiáin aerach. Chaith sé mí i bpríosún i Mountjoy i samhradh 1948 i ngeall ar mheisce agus mhí-iompar. B’fhéidir gurbh in é a thug air dul chun cónaithe i bPáras i Lúnasa 1948 agus é ar intinn aige foghlaim chun bheith ina scríbhneoir lánaimseartha. Ní raibh cónaí air i mBaile Átha Cliath arís go 1950. Ag an am sin is beag a bhí foilsithe aige seachas an píosa in The Bell, na dánta in Comhar, dráma aonmhíre a stáitsíodh in Amharclann na Ríona (Winston Green ) i 1947, gearrscéal agus sliocht eile i dtaobh a thamaill sa Bhorstal in Points, iris avant-garde, agus gearrscéalta in Envoy. Faoi 1951 bhí sé ag craoladh anois agus arís ar Radio Éireann. Cuimhnítear ar na scripteanna le haghaidh Ballad Maker’s Saturday Night agus ar an dá dhráma ghairide Moving Out agus The Garden Party. I 1953 thug Jim McGuinness, eagarthóir Scéala Éireann, colún dó le scríobh trí uair sa tseachtain; is ar an gcolún sin a bunaíodh Hold your hour and have another a foilsíodh i 1963 agus arbh í a bhean a sholáthair na léaráidí. Bhí an gearrscéal is aitheanta dá chuid, ‘The Confirmation Suit’, in The Standard an bhliain sin. An bhliain dár gcionn bhí an sraithscéal The Scarperer aige in The Irish Times faoin ainm cleite Emmett Street; tá sé bunaithe ar a gheábhanna smuigléireachta chun na Fraince i 1952 agus foilsíodh mar úrscéal é i 1962. I 1954 freisin chaith sé tamaill in Árainn agus ar an gCeathrú Rua. Cuireadh lena mhíchlú an bhliain sin nuair a luadh a ainm go minic sa chás cúirte a bhí ag Patrick Kavanagh in aghaidh The Leader ; chreid an file go raibh lámh ag Breandán sa phortráid a scríobhadh faoi, rud nárbh fhíor. Phós sé Beatrice ffrench Salkeld, péintéir agus iníon leis an bpéintéir Cecil ffrench Salkeld, i bhFeabhra 1955. Léiríodh The Quare Fella in Amharclann an Phíce, Baile Átha Cliath, 4 Nollaig 1955 agus b’in í an chloch mhíle ba mhó ina shaol, b’fhéidir. Ar 24 Bealtaine 1956 léiríodh é i Londain agus d’éirigh thar cionn leis arís, i gcaoi go raibh clú domhanda ar Bhreandán láithreach. B’éigean dó tamall a chaitheamh in ospidéal de dheasca babhta tromólacháin agus is ar an gcuma sin a fuarthas amach go raibh diabaetas air. I rith a raibh fágtha aige dá shaol dhéanadh sé tréaniarrachtaí ar staonadh ón ól. Is dóigh gurb é an comhartha is mó ar a mheas ar an nGaeilge gur scríobh sé An Giall nuair a bhí fáilte roimh a dhéantús ar fud an domhain. D’oscail léiriú Phroinsiais Mhic Dhiarmuda i Halla Damer, Baile Átha Cliath, 16 Meitheamh 1958 agus d’fháiltigh léirmheastóirí go fonnmhar roimhe. Thairg Joan Littlewood láithreach aistriúchán a stáitsiú i Londain. Faoi Mheán Fómhair bhí bearnaí go fóill ann, rud a d’fhág go raibh deis ag Littlewood athruithe a dhéanamh as éadan le linn cleachtuithe; chabhraigh sí go mór chun go mbainfeadh an pobal idirnáisiúnta spraoi as The Hostage. Ach bítear á áitiú ó shin gurbh fhearr de dhráma An Giall. Foilsíodh Borstal Boy tamall an-ghairid i ndiaidh The Hostage, ar 20 Deireadh Fómhair 1958. Mhol léirmheastóirí go hard é; díoladh an chéad chló, 15,000 cóip, láithreach agus laistigh de mhí díoladh 20,000 cóip i Nua-Eabhrac; díoladh cearta aistriúcháin ar fud na hEorpa. B’fhéidir a rá go raibh seachthoradh inspéise air, is é sin go raibh píosa de ‘Cúirt an Mheánoíche’ ann le léamh ag an domhan mór. D’aistrigh sé an dán iomlán go Béarla agus rinne é a reic oíche i dtábhairne McDaid i mBaile Átha Cliath; chaill sé an lámhscríbhinn trí lá ina dhiaidh sin agus níl i gcló anois ach an sliocht sin in Borstal Boy. I bhfómhar 1960 chuaigh sé go Nua-Eabhrac; bhí The Hostage le hoscailt ann 20 Meán Fómhair. Cé nár thaitin sé le gach léirmheastóir tháinig an pobal lena fheiceáil. Bhí ardéileamh ar Bhreandán mar chainteoir fad a bhí sé sa chathair agus staon sé ón deoch alcólach an chuid is mó ar fad den am. Is beag fíorscríbhneoireacht a rinne sé i ndiaidh An Giall agus Borstal Boy. Go luath i 1961 thosaigh sé ag obair i bpáirtíocht le Rae Jeffs chun ábhar leabhair a théipthaifeadadh. Brendan Behan’s Island, 1962 an toradh. Ar an gcuma sin freisin a rinneadh Brendan Behan’s New York, 1964 agus Confessions of an Irish Rebel, 1965. Deirtear gur trína dheachtú a d’éirigh leis an dráma aonmhíre Lá breá san reilig a dhréachtadh go luath i 1961. Thaispeáin sé leagan Béarla, Richard’s Cork Leg (stáitsíodh in Amharclann na Péacóige é i 1972), do Joan Littlewood. Nuair nár spéis léi é thairg sé an leagan Gaeilge do Ghael Linn ach shíl siad san freisin nach raibh sé sách maith. Deir Colbert Kearney in The Writings of Brendan Behan, 1977: ‘There is little to be said in favour of the Irish version, Lá breá san Roilg, which has all the faults and none of the virtues of the English. That Behan should have expected Gael Linn to welcome it showed how blurred his critical faculty had become. It reads like a translation of an earlier, cruder form of Richard’s Cork Leg and is in one act’. Deir Kearney go raibh cóip ag Seán Ó Briain. Bhí deireadh a chúrsa sroichte aige, b’fhéidir a rá. Is le fána a bhí sé ag imeacht as sin amach: ráigeanna óil i Nua-Eabhrac, i Londain agus sa bhaile; na tamaill in ospidéal ag dul i minicíocht agus tamaill eile ansin ag iarraidh éirí as an ól. Rugadh a iníon Blánaid i ndeireadh 1963. Duine truamhéalach amach is amach ba ea é faoi 20 Márta 1964 nuair a d’éag sé in Ospidéal na Mí. Tá sé curtha i reilig Ghlas Naíon; ba aige a bhí an tsochraid is mó ó cuireadh Micheál Ó Coileáin, deirtear. A chara agus a chomhghéibheannach Maitias Ó Néill a labhair i nGaeilge agus i mBéarla os cionn na huaighe.